Railpictures.ca - colin arnot Photo: GP38-2 CP 4418 (ex SOO) and SD40-2 CP 6028 are on switching duty at CP’s Scotford Yard. | Railpictures.ca – Canadian Railway Photography – photographie ferroviaire Canadienne. 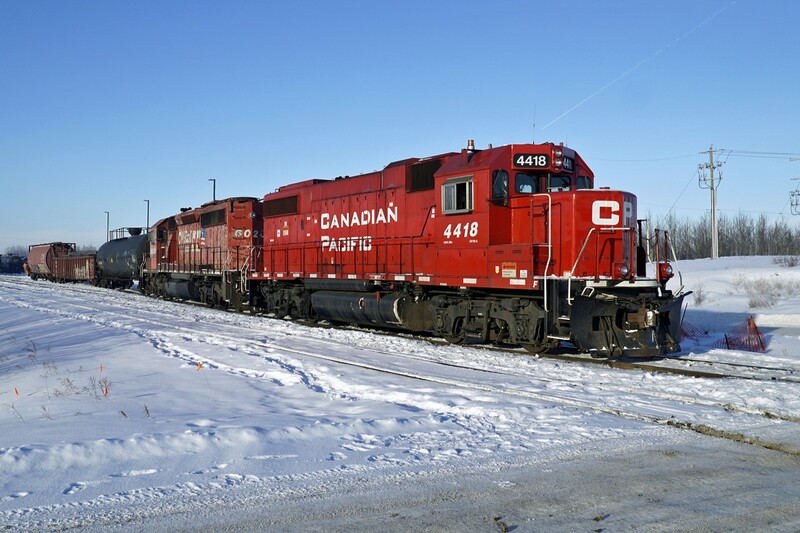 Caption: GP38-2 CP 4418 (ex SOO) and SD40-2 CP 6028 are on switching duty at CP's Scotford Yard.